Rae is a fresh and versatile cosmetics line ideal for everyday performance during exercise, travel or for those that simply lead a busy lifestyle. Rae has quickly become a favorite line amongst active women and athletes looking for performance as well as beauty from their cosmetics. 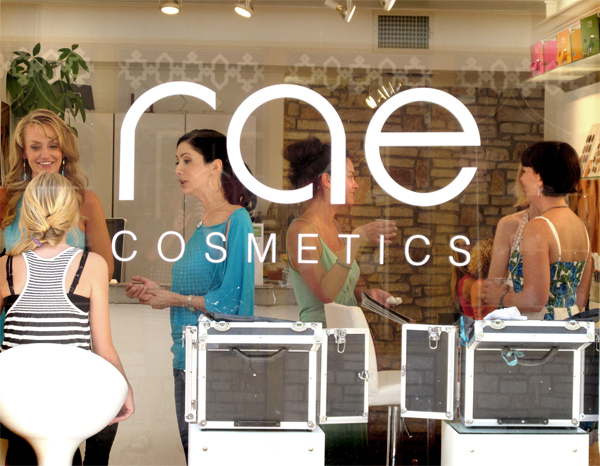 Inspired by minerals and pigments that exist in nature, Rae cosmetics were designed to work with all skin tones and types. A micro-crushed blend of clinical-grade nutrients, antioxidants and non-chemical sunscreens nourish the skin and guard against dangerous sunrays. Keeping your skin healthy and protected. The oil free lighter-than-air mineral formulas allow skin to breathe freely and function normally, as if wearing nothing at all. Light feeling and natural looking, skin looks fresh, clear and incredibly vibrant. Rae is both animal and earth friendly. All of our ingredient suppliers, manufacturers and laboratories also support the Cruelty-Free Commitment and our use of minimal packaging supports the Clean World Commitment.